Mexico is located in the Northern Hemisphere, on the continent of North America. It is bounded by the United States on the north, by the Gulf of Mexico and the Caribbean Sea on the east, by the Pacific Ocean on the southwest, and by Guatemala and Belize on the southeast. The area of Mexico is 1,958,201 square kilometers (756,066 square miles). Mexico's capital city is Mexico City. Other major cities in Mexico include Guadalajara and Monterrey. Spanish is the principal language spoken in Mexico. Mexico is well-known for its Caribbean beaches in the Cancun area of the Yucutan peninsula and for its Pacific Ocean resort regions around Acapulco and Puerto Vallarta. Mexico features the Western Sierra Madre and the Eastern Sierra Madre mountain ranges in the north central region as well as the Baja California peninsula running down the Pacific coast in the northwest. This North America Map site features political maps and relief maps of North America, and provides more context and a visual representation of these physical features. Map of Mexico, featuring Mexico's major cities, roads, lakes and rivers. Mexican States shows names and borders of States in Mexico. Relief Map of Mexico shows the topographical features of Mexico. 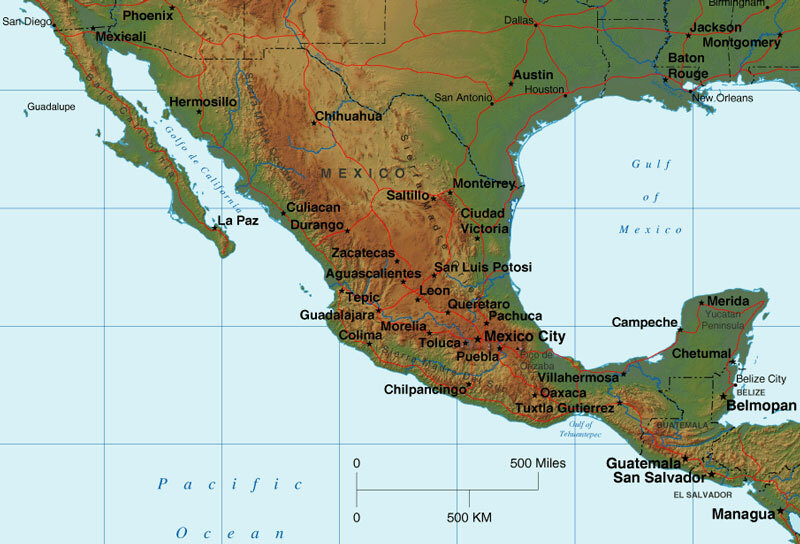 CIA World Factbook - Mexico features a map and facts about Mexico. 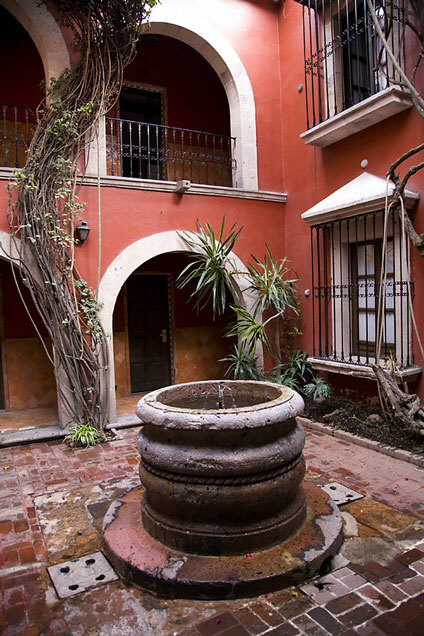 For Mexican travel and tourism information, visit Visit Mexico, the official site of the Mexico Tourism Board, and MEXonline.com, a popular online guide to Mexico. Major Mexican airports include the Benito Juarez International Airport in Mexico City, Alvarez International Airport in Acapulco, Don Miguel Hidalgo International Airport in Guadalajara, Escobedo International Airport in Monterrey and Ordaz International Airport in Puerto Vallarta as well as Cancun International Airport and Cozumel International Airport. Mexico News - News headlines and news article links about current events in the nation of Mexico.